Thanksgiving day is often considered the most stressful holiday of the year simply because it involves preparing and serving a lot of food to family, many whom have traveled from out of town. For the host it means getting put on the spot to deliver a meal to match everyone’s expectations. And while it can be a rewarding experience in terms of fellowship and making long-lasting memories; it still can an exhaustive experience. And then, of course, there’s the cleanup afterward. That’s why a growing number of families are taking advantage of leaving all the headache and hassle to the pros, either by purchasing ready-made take home meals with all the trimmings or by simply making reservations at restaurants open for Thanksgiving. 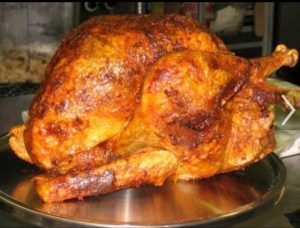 Here’s a short list of restaurants in Bossier that are open for Thanksgiving. While most people have turkey on their minds, you would think that the last place to consider for a Thanksgiving holiday meal would be a Cajun-themed restaurant. But for the past several years, Ralph & Kacoo’s restaurant in Bossier has been serving families who want to escape the kitchen hassle. Debbie Falardeau, assistant manager says there’s no shortage of customers on Thanksgiving day. The Ralph and Kacoo’s Thanksgiving platter features a Cajun-fried turkey breast and Southern-style cornbread dressing with all the trimmings. If you are in a more seafood mood, the regular dinner menu will be offered as well. With it being colder weather, gumbo is also one of the favorites. Reservations for Thanksgiving dinner at Ralph & Kacoo’s are not required but if you call ahead, they make note. They will serve between 10:30 a.m. and 4 p.m., cost is $15.99 per person, $8.99 children’s platter. If you’d rather have thanksgiving dinner take-home, you can order different packages. A typical Cajun-fried Turkey dinner with 3 sides costs $79.99 plus tax. But orders must be made before Thanksgiving day. 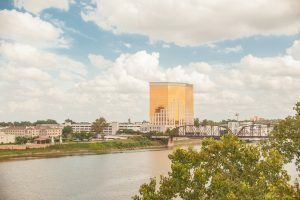 Bossier City has four casinos and each has plenty of dining options all year round. 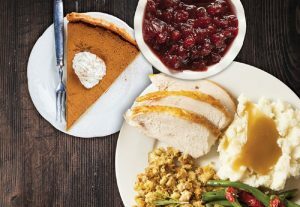 Some of the casino restaurants have adjusted their normal menus to include Thanksgiving specials. Casino buffets offer a great value and variety, especially if you have a large group. While most have come to know Jimmy’s Restaurant for its seafood and steak entrees, they have put together a splendid menu selection that will make for a memorable Thanksgiving evening meal. A four course menu features soup, salad and a choice of entree including Peach Glazed Turkey with Oyster Dressing, Slow Poached Salmon in a cranberry Hollandaise sauce and candy Cajun rubbed ham with Maque Choux pudding. All entree’s include various sides as well, and dessert is pumpkin bread pudding. Reservations are required for Thanksgiving dinner at Jimmy’s but if you want more flexibility with your time, Margaritaville’s Thanksgiving Buffet doesn’t require any. World Tour Buffet: Nov. 22 from 11:30 a.m. -9 p.m., Cost is $27.99 per person. No reservations required. In addition to the usual buffet offerings, The Cattleman’s Buffet will feature a special Thanksgiving buffet feature turkey with all the trimmings. Cattleman’s Buffet hours will be 11 a.m. – 9 p.m., no reservations required. Cost is $22.95 per person. The Spread Buffet will be serving a Thanksgiving Day menu featuring roasted turkey with all the trimmings and a variety of other items ranging from braised beef short ribs, catfish fillets, tilapia, chicken, pork chops, baked salmon and crab legs. Several desserts will be featured as well. Horseshoe Casino’s The Spread Buffet Nov. 22 menu from 10 a.m.-10 p.m., Cost is $28.99 per person, no reservations required. Legends buffet will offer holiday classics including turkey and dressing, southern style sweet potato casserole, pumpkin pie and more. And for active or retired military with proper ID, a 25% discount is offered as well. 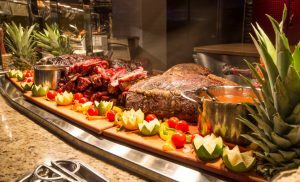 Legends Buffet at DiamondJacks Casino and Hotel will offer Thanksgiving buffet from 11:30 a.m. – 9 p.m. Cost is $20.99 per person. No reservations required. So if you’d like to avoid the hassle of cooking and clean up and focus on good food, perhaps a visit to any of the restaurants open in Bossier for Thanksgiving might be what you’re looking for. Previous Post:What are some fall trends in Bossier?